It's lights out and sweet dreams for baby. 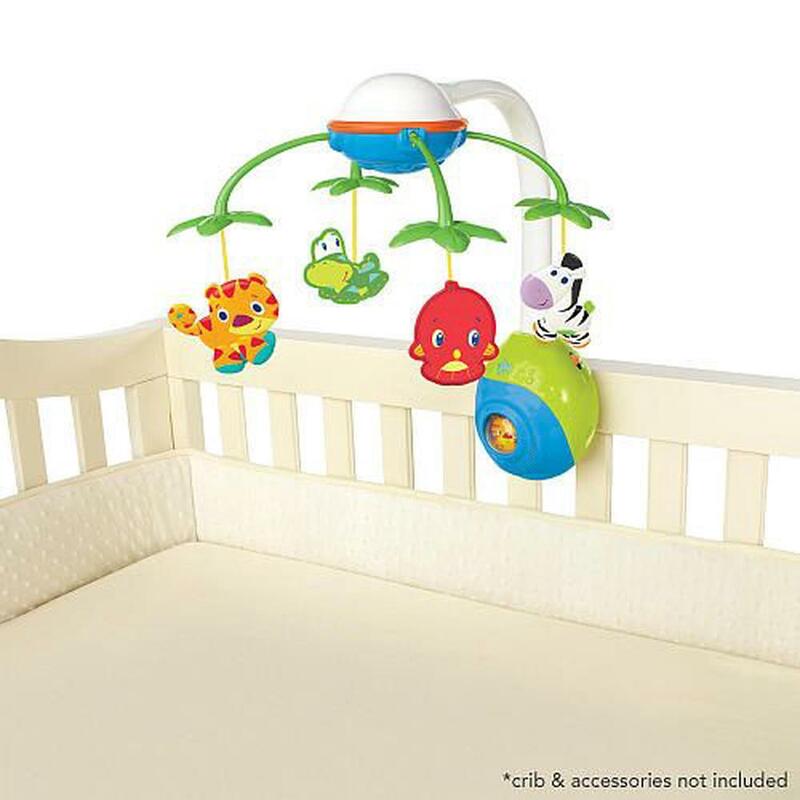 Bright Starts Soothing Safari Mobile creates a soothing environment for baby to drift off to sleep. 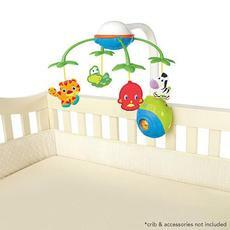 It has five melodies and three silly sounds with continuous play and baby activated modes. The two plush butterflies and four spinning shapes captivate the babies. It has a large mirror for peek a boo fun and the detachable base can be used alone as a musical crib toy.